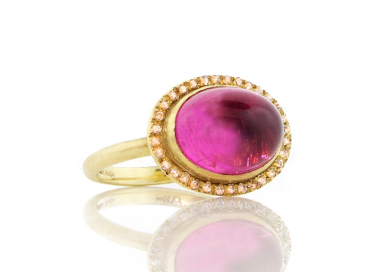 10mm x 12mm cabochon pink tourmaline set with a halo of diamonds on an 18kt gold band. Have questions about this ring or want to see it in our store? Click here to learn more about Adel Chefridi.